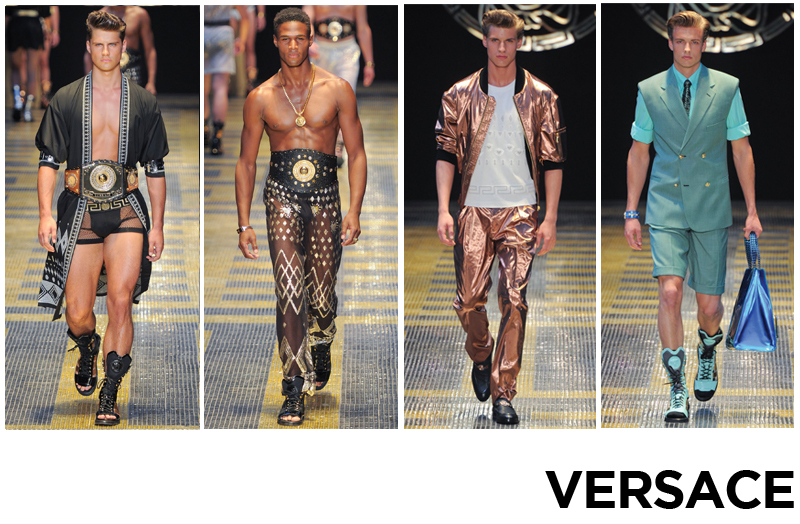 Donatella Versace described the SS 2013 Versace man as a "tough pugilist champion” who is part Rocky, part Elvis and part Mr. T”. From the start it was clear that the well-toned, muscled models would be the most exciting part of the show. Although to be fair it provided an excellent excuse to re-launch their new range of underwear and swimwear. It felt like someone had turned the camp-o-meter all the way up, models took to the runway with their gelled quiffs and decked in gold medallions and wrestling belts. Sleeveless double breasted jackets in metallic fabrics were toughened up with wide leg trousers. The psychedelic floral print jeans paired with Versace’s iconic key print on long t-shirts and parkas were a definite nod to the 90s. Some of the stronger pieces in the collection were the broderie anglaise (english embroidered) fitted sports jacket and the gladiator/sneaker hybrid shoes. 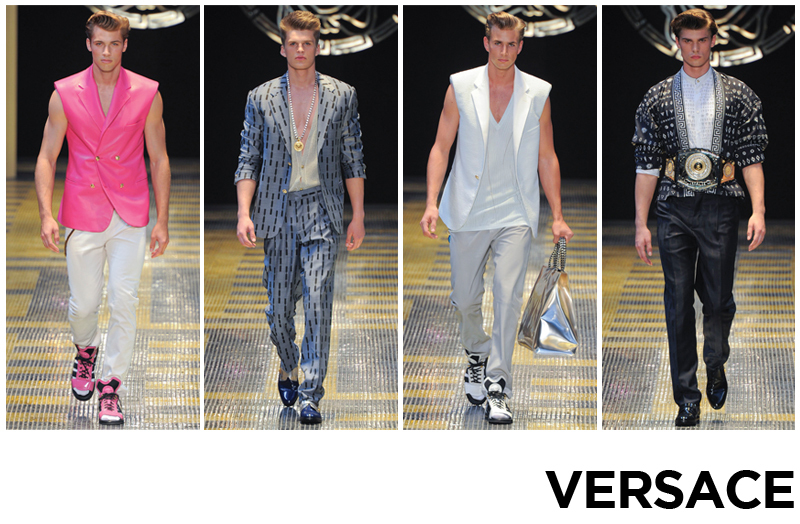 Excess and indulgence are words that have always been associated with Versace and it’s newest collection was no exception.